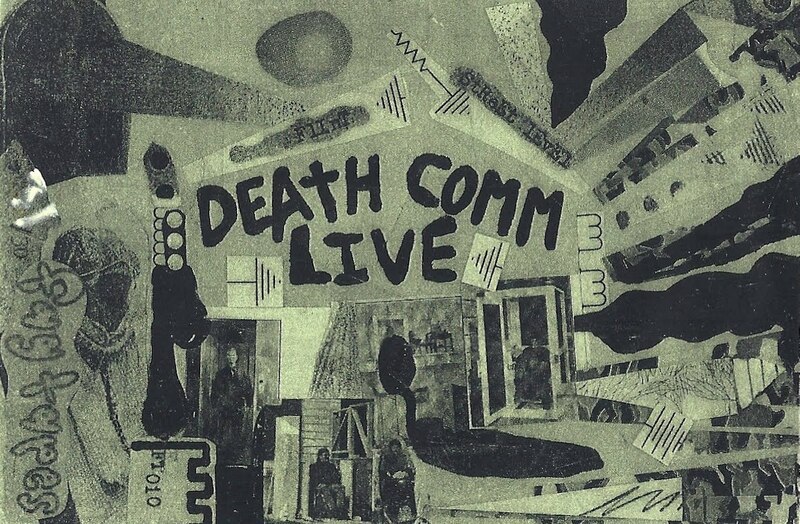 FAG TAPES: DEATH COMM "LIVE"
FT010 DEATH COMM "live" cassette. Live recordings from 2005 gigs in Flint, MI and Ypsilanti, MI. After a day's work in the chemical hole and toxic print dryer folding and a lunch break session on the quarter pipes grip some nighthawks and have some of the strangest jam sessions upstairs in the rat hole. The place got trashed. This all led to us playing a total of four gigs and the name eventually changing to DEATH KCOMM. Players on this one: Mike Connelly, Marx, Heath Moerland, John Olson. No rules.